They’ve been discussing whether or not it would safe for Inizi (Torisden’s Intended) to be with them outside of the Elven homeland of Alur’va’sia, and Dakkas suggested more Elves moving into the Drow country of Raes’drao-V’len. 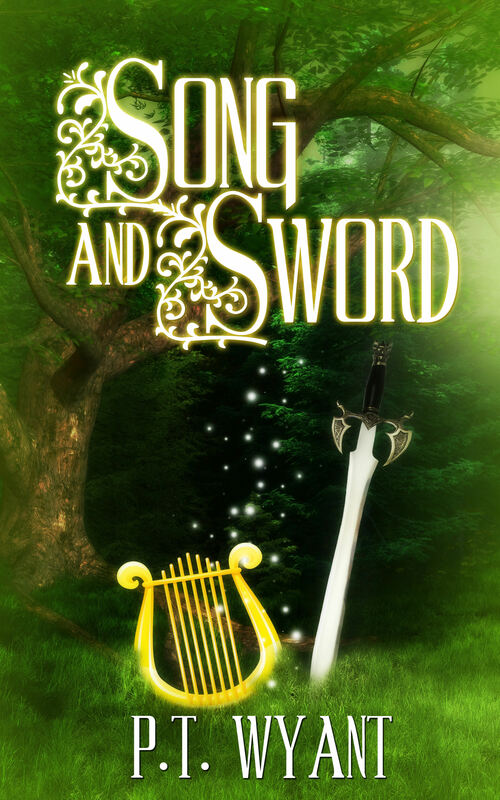 A bit of a reunion in Song and Sword this week, picking up from last week’s post. Dakkas felt a cold clutch of terror, remembering the voice – so familiar yet so elusive! – from the dungeon. But Pashevel knew about him, knew that he had been the one behind the torture – surely he would not have invited him to the camp! Marlia half-woke and looked to see what had roused her. As always, her eyes sought Pashevel first, and she followed his gaze. Dakkas stood, leaning into the chest of a unicorn, kneading his withers. The unicorn tucked his head, pressing it against the Drow’s back, holding him there, and she could not help but smile as she lay back again, still exhausted. She turned her head to find Pashevel watching her, a knowing smile on his lips, and she scowled and rolled over, pulling the blanket over her. Pashevel chuckled softly; she didn’t want to admit that he was right, but he would win her over. She just needed a chance to get to know Dakkas the way he had, needed to see what he had seen. More from Song and Sword. I’m thinking I might use Camp NaNoWriMo next month to get back to work on the sequel. Dakkas was awakened by a hand on his arm, shaking him gently. “What–?” he sat up, looking around wildly. “Shh.” Pashevel held a finger to his lips as he nodded toward the sleeping women and motioned for Dakkas to follow him. Careful not to disturb Kashrya, Dakkas eased out from under the blanket, and blinked. “It doesn’t hurt,” he whispered. “Marlia woke up a couple hours ago and healed you. She’s going to need a long rest before she’s fit to travel.” He stood and helped Dakkas to his feet, guiding him away so they could talk without disturbing the women. More from Song and Sword. Dakkas asked Pashevel why he was helping them when he didn’t even know them. Pashevel shrugged. “You needed help,” he said easily. Dakkas stared at him in disbelief. An Elf apologizing to a Drow? He looked at the hand Pashevel had offered him, and reached for it, grasping the Elf’s forearm, feeling Pashevel’s long slender fingers wrap around his own arm, the touch firm but gentle, mindful of his wounds. Dakkas nodded, slowly releasing his arm and turning his attention to the bowl of stew. The rich meaty taste of it filled him with warmth, and a slow feeling of contentment came over him as he glanced over at the women, both sleeping peacefully. “I don’t think I can sleep,” he said. Pashevel settled Marlia on her bedroll and then took Kashrya from Dakkas, holding her as he slid from Sonata’s back, noticing the way he moved, the way he leaned against the unicorn for support. “He’s about done in,” Pashevel thought as the Drow reached for Kashrya. Silently he handed her to him, letting him carry her to the blanket he had laid out for her, shaking his head in admiration at the sheer determination that kept him on his feet. Sadly he [Dakkas] stroked Kashrya’s hair as he began to sing to her, the same lullaby he had been singing when the Elves had arrived. He was going to lose her. Once she realized that he was a Drow, once she realized that she could go with the Elves, to find people that would accept her… He had no illusions as to which she would prefer – an outcast member of an outcast race, or the Elves. He hung his head, not wanting the Elf to see his tears. Picking up again from last week’s snippet of Song and Sword. Dakkas nodded, and turned back to the women. He had seen the look on Pashevel’s face, the look of revulsion when the Elf had realized that he was a Drow. He had also seen the brief flash of pain, and had heard the sincerity of his voice, and felt the kindness of his touch. He didn’t know which to believe. He wanted to believe the latter, but his experience taught him that it was the first reaction that was true, and despair threatened to overwhelm him again.